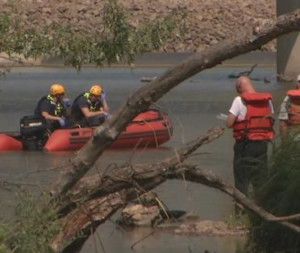 DOUGLAS COUNTY — Law enforcement authorities continue investigating Friday’s fatal water rescue incident on the Kansas River in Lawrence. On Saturday, officers arrested 26-year-old Scharron Renea Dingledine of Columbia, Missouri on one count of First Degree Murder and one count of Attempted First-Degree Murder, according to Captain Trent McKinley. The charges stem from the death of Dingledine’s five-year-old daughter and critical injuries to her one-year old son, who remained hospitalized. 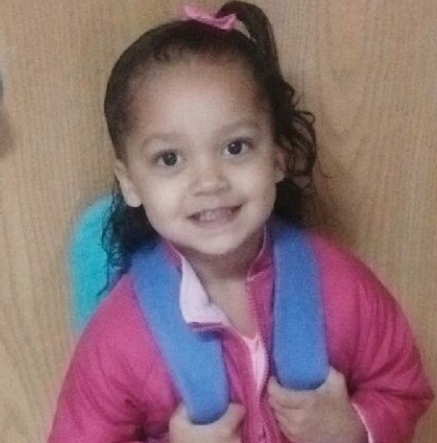 On Sunday, the 5-year-old’s father identified her as Amiyah Bradley. Clinton Bradley also established a fund-raising page to assist with funeral expenses. On Saturday morning, members of the Douglas County Search and Recovery Dive Team recovered the body of the 5-year-old. She was the third passenger in the vehicle that entered the river Friday, according to Officer Drew Fennely. First responders rescued Dingledine and the 1-year-old shortly after Friday’s crash into the river. They were transported to a local hospital. Authorities have not reported an update on the child’s condition. Dingledine is currently being held at the Douglas County Jail without bond, according to according to Captain Trent McKinley.